I have an uncommon relationship with the sports media.I must tell the story again for the benefit of thousands of young Nigerian boys and girls in school (or even out of school) that may be interested in having a go in the profession. It is a beautiful world. In this day and age of Information Technology its scope to admit and engage millions of youths with a passion for sports and for journalism is almost limitless! For those young people that manage to convert their love and passion for sports to work in the sports media, they discover that they actually never work again in their lives because ‘work’ actually becomes so much fun! This is my own story into that world.In the year 2018, all things summed up and with all modesty, I am pleasantly aware that I am considered a successful player in the sports media industry. My work cuts across the entire spectrum of the sports media, from print, to television, radio and even on-line. Considering that I have never had any formal education or training in any aspect of the media except through my personal experiences and experiments, it must be comforting and reassuring for millions of young persons interested in that profession that the route to success in this sector is not laden with difficulties or impossibilities! If I could do it I assure them they could, even more easily. So, this is my story. It is not a model to emulate but it can serve as a useful compass to have along the route for the determined, passionate youth. I live through the work that I do in the media. I have done so for almost 4 decades since I discovered its power to provide food for my family and me. It has been an exceptional and extra-ordinary journey of discovery. To start with, that I have no formal qualifications in the sports media does not mean that one does not require proper grounding through attending a proper institution for a journalist to succeed. That education guarantees greater success as well as a better anchor. A formal institution provides the fundamental rudiments of the profession and implants its ethics and principles of good practice. That aspect has been missing from my own credentials, but, in time and with continuous work in a field that is still relatively virgin in the country, I have managed to make up for it even though it took drifting rudderless, many times, in the rough seas of the vast industry.Two big advantages that I knew I had going for me (and these have helped me feel confident and comfortable despite my lack of formal training in journalism) were my experiences in the game of football itself and the flair that I had for writing developed studying the Literature of English in a great Catholic secondary school, St. Murumba College, in Jos. At school I loved reading books. I read several of William Shakespeare’s books, Thomas Hardy, Jane Eyre, Samuel Taylor Coleridge, James Hardly Chase and some other great fiction writers of that era.I became a core member of the editorial team of a gossip campus magazine during my years at the Polytechnic, where I was the editor, features writer and chief illustrator. All these would come in very handy later in my life, when my friend and veteran journalist now, Banji Ogundele, became editor of Sunday Tribune, an Ibadan-based, very popular newspaper owned by the Awolowo Family.Banji had moved to Ibadan from Lagos where we were friends along with other journalists including Yinka Craig, Dayo Sobowale, Phillip Phil Ebosie, Toyin Makanju, and so on. These were friends that I cultivated through the best years of my playing career mostly in the national football team.Banji came to Ibadan needing a place to stay for a few weeks whilst he sought for his own accommodation. I offered my humble home. For a few weeks he became a part of my young family. That’s when he found the tons of literature (magazines and books) littering my desk in my sitting room. He was fascinated and suggested that I wrote a column for his newspaper even as an active football player.I took his bait and wrote my first piece. He loved it. Did not even change a word before publishing. To see my name in print in one of the most powerful newspapers of that era was the all the tonic I needed. That’s how I started writing on football. I wrote about my own experiences, the places we went to play, the atmosphere in those places, the other players and our relationships, what we did after matches, and slowly I started to write about my impressions and ideas about the game itself. It was interesting writing from the heart on subjects close to people’s hearts but never seen from this completely new perspective. It was fascinating to also look at football strictly from a footballer’s perspective. So, what I lacked in style and structure I made up for in content and literary freedom.Combining playing and writing was not easy. I could not write about my own games. So I wrote around them.Somehow, I developed a writing style that I have maintained and tried to improve upon for 4 decades. About a year after my first column, and with Banji’s departure from the Tribune, I was invited to write for Punch and, later, The Guardian. I can’t recall why I moved between them, but I did. To write in these two high profile newspapers spoke volumes about what was thought of my writing. Those two publications were my own school of journalism. In 1984 I transited finally to Sunny Obazu Ojeagbase’s Sports Souvenir, the first all-sports newspaper in Nigeria’s history. In 1986, at his invitation, I moved and joined Sunny in Lagos on a full time partnership basis. That was my university of journalism. 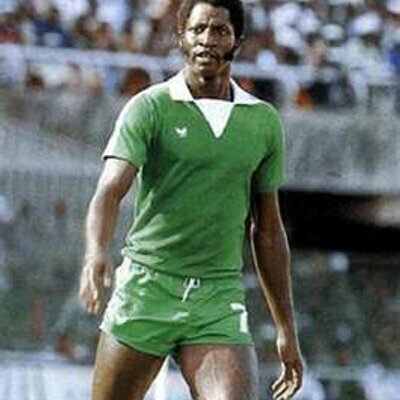 Before I knew it I was reporting matches and other sports, and went on my first international assignment to Scotland for the U-17 FIFA tournament in 1989.Whilst in Scotland, I stayed with late Ernest Okonkwo, Late Tolu Fatoyinbo and Uncle Fabio Lanipekun in the same hotel.Our conversations opened up my eyes to new possibilities in the other media. These were legends of electronic broadcasting – Ernest and Tolu on radio, and Uncle Fabio on television. My conversation with Uncle Fabio, in particular, and his assurance that I could do well in television were the push I needed to venture into that field. The opportunity came when I was invited by Chris Ebie to present a weekly 4-minutes sports segment on Livi Ajuonuma’s The Sunday Show on NTA Channel 10 Lagos. My first attempt after a lot of practice was a good case study for trainee TV journalists on how not to present a TV program. I received my own tutorial on the job. It was like throwing a first time swimmer after verbal lessons only into the deep end of a swimming pool. He would either learn fast or drown fast. That week must have been the longest week in my life.By the second week, I had to be better or I would be considered a failure. My background in football always came to my rescue facing any challenges. It taught me that practice makes perfect, and never to give up until the final whistle is blown.I have to stop here for now. As I am writing this, the news just came in that my ‘brother’ from another mother, Deji Tinubu, that also ventured into sports journalism, more or less like me, has died only a few hours ago whilst playing a novelty football at the retreat held in Epe by the Lagos State government for the State’s Executive Council members. The news is shattering.Deji’s wife is my ‘sister.’ She is former Governor, Tunde Fashola’s younger sister.Deji’s parents loved me like their own son and made me an unofficial child of their fantastic family.Deji represented himself as well as the Governor of Lagos State, Mr. Akinwunmi Ambode, at the 10th anniversary of my school and sports academy last November. I can’t get over the fact that he is gone..forever!I join friends and family in praying for consolation for the young wife and children he has left behind.May he rest Peacefully in the bosom of our Creator.